The first of Minox OEM Classic Collection camera, a faithful 1:3 reproduction of a Leica IIIf Nr. 60500 has a MINOCTAR f5.6/15mm (3 Element in 3 Groups) lens with focal range of 1.2m to . The shutter speed is fixed at a fast 1/250th. In good light with, a fast film these are capable of excellent pictures. Prices are high and range of use is limited. 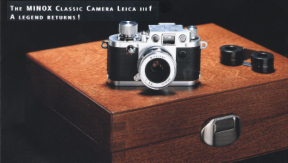 A limited edition of 1000 black Minox Leica IIIf was introduced in autumn 2001 to accompany the Leica 3M and 1F. 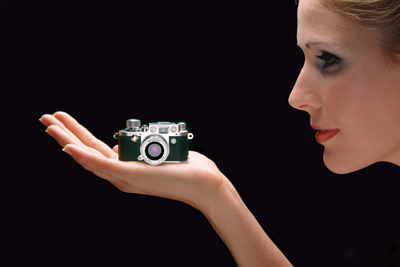 In February 2002 a Contax I was introduced. The finial Minox addition was the Hasselblad SWC. 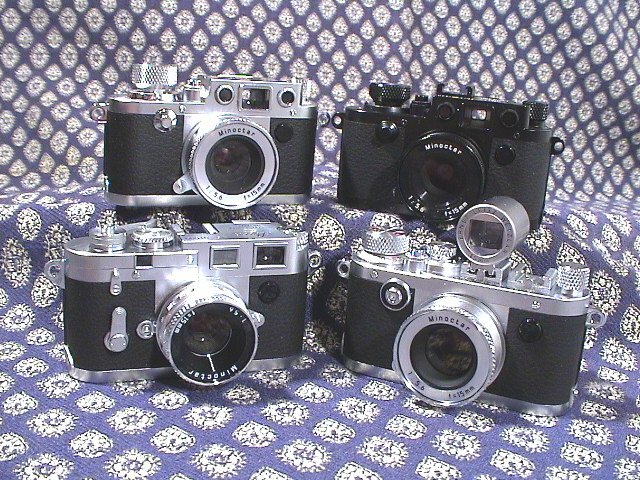 Further models are not expected although there is a strong demand for a Minox badged Rolleiflex. Cutest when used by a diminutive photographer or a toy bear which is equally as expensive as the camera. For an extensive range of Classic miniatures see the Sharan range. Sharan Megahouse cameras include a lens cap and strap and in small Perspex cases for display in a cabinet. Minox supply as accessories lens caps, leather strap, leather cases and an electronic flash gun to match the style.